Easy to erect - no tools needed. 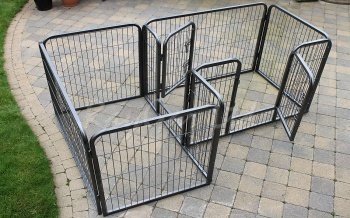 Cage made up of 2 pens attached together, separated by a door. 2 bolt sliding latches on each door for security. Measurements (each pen) - L105 x W70 x H70cm. 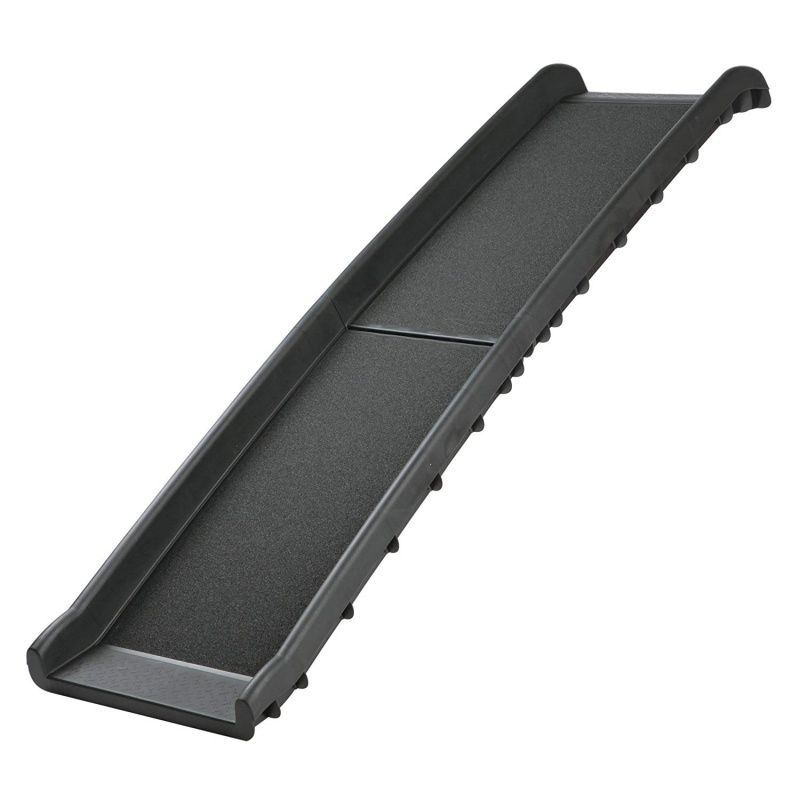 Constructed from dark grey powder-coated steel. An excellent way of providing your pet with a secure and safe environment while allowing them to have fun playing inside or outside. Folds flat for easy storage and transportation. 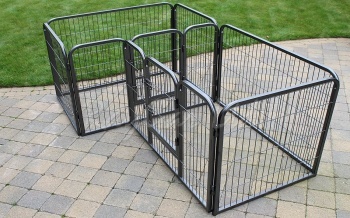 **IMPORTANT** Please do not use your cage for long periods of time until your pet is trained and feels comfortable. 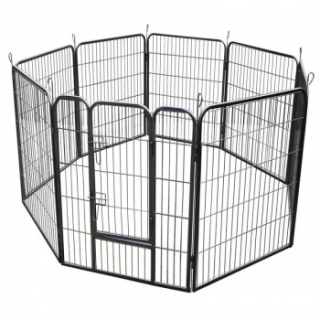 If your pet feels anxious or becomes agitated it may cause damage to the cage/pen or itself. 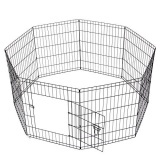 The cage/pen is designed for your pet to be able to see clearly what is going on around it so it does not feel that the cage/pen is a "lonely" place. This cage should never be used as a form of punishment, nor should your pet ever be forced into its crate. RayGar is a registered trademark. Great pen, sturdy, plenty of room. 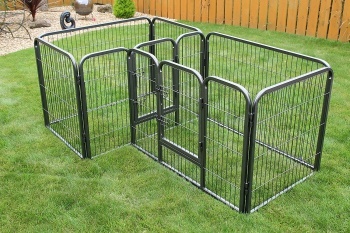 Very useful cage, happy with our purchase. 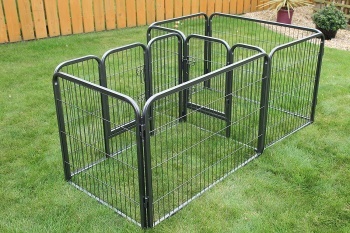 Brilliant, we are so pleased with this double pen for dog and her pups. Great pen, we are very happy. 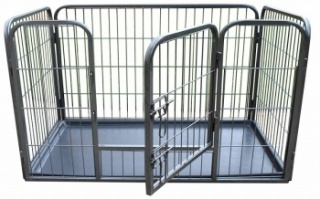 Great double crate, great size, great quality, just great! Love it and easily assembled. Excellent quality for money, very spacious and great quality.